I actually have two that were my firsts. 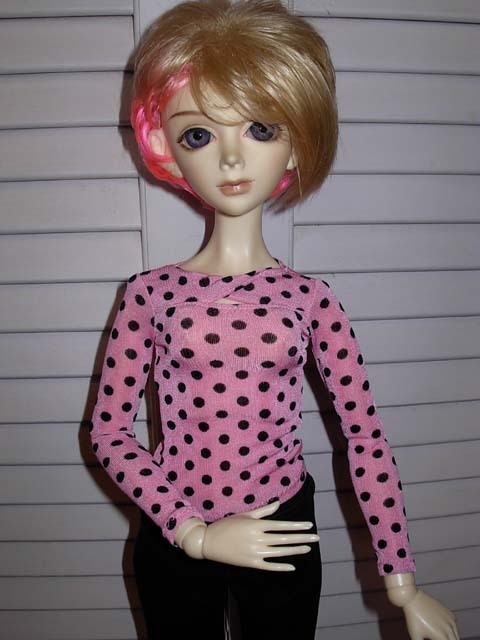 I ordered my resin Secret first, but she was a pre-order so my actually first "in hand" BJD is my Haute Doll Choa (Custom House). 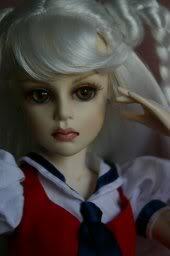 When I was first introduced to BJDs, one of the websites my friend sent a link to was the gigglegeek site. I took one look at a Choa there and fell in love. I was doing my usual run on ebay about two weeks later and low and behold, there was my Choa. I still have her and have recently gotten a mate for her. Both beautiful girls, Gracie! It is easy to see why you fell for Choa! Your Choa is beautiful Gracie. 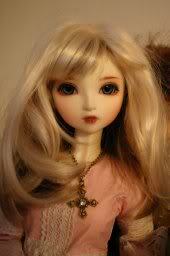 Actually Choa is one of the reasons I got into BJDs. 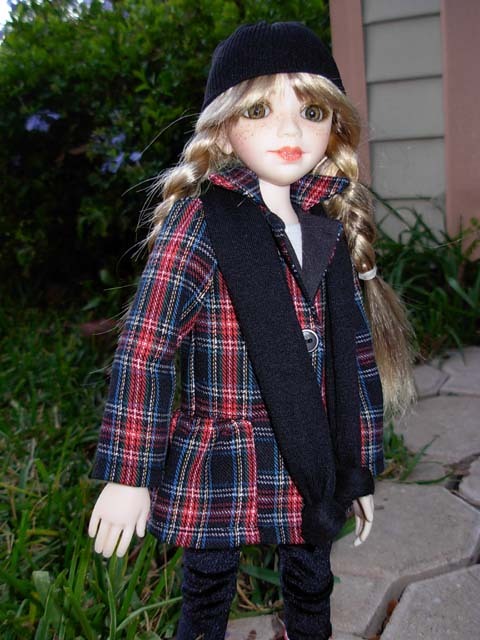 My niece got her for Christmas in 2003 and of course I fell in love with BJDs. When I started looking for one I also found out there were boys! 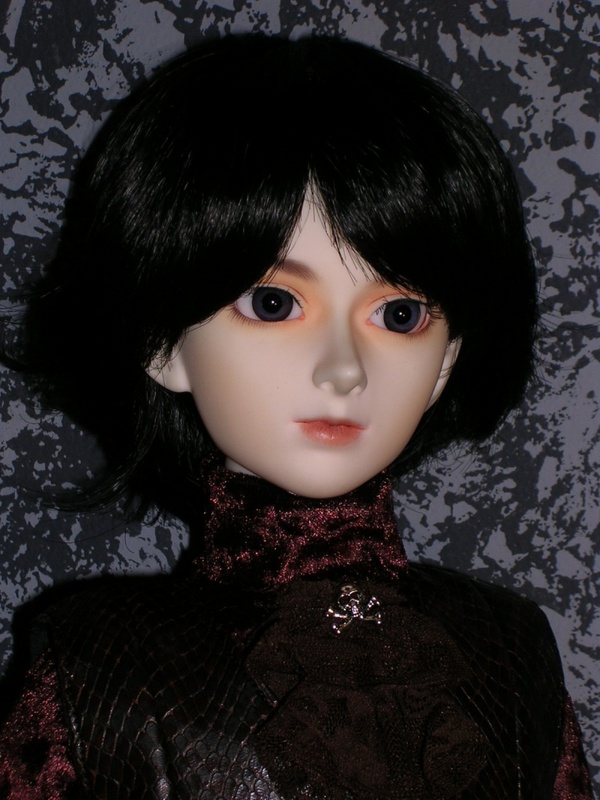 I love boy dolls, so my first BJD was SD13 Dollmore Dean and very soon after that was Dollmore Ray (SD13 girl). They kept coming fast and furious, I have lost count now! My first Goodreau was resin Rumor, whom I love dearly. Michele did her face up. My first Creedy was Unity, I did her face up. My first true BJD arrived TODAY--A Goodreau "Upside Down Oz" Dorothy! I have a great deal to learn about wigs, eyes, posing, etc., but she's so sweet, I just want to play with her and make her clothes and wow, this is going to be fun. Gracie, I'll try to get some taken and posted in the next couple of days so you can see her. Her face is really sweet! MaryKate wrote: My first true BJD arrived TODAY--A Goodreau "Upside Down Oz" Dorothy! I have a great deal to learn about wigs, eyes, posing, etc., but she's so sweet, I just want to play with her and make her clothes and wow, this is going to be fun. How exciting! I will check back in hopes of seeing pictures of her. Good luck deciding on a name. My first was Nyssa human tan from Kaye Wiggs. My first BJD was Goodreau Innuendo. I fell in love with her so much that I have now Rumor, Mirror and Whisper too.